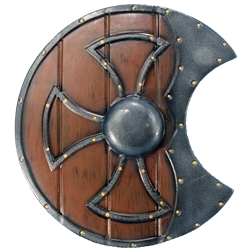 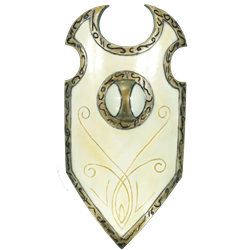 Our Warriors LARP Shield is made from extremely durable foam that does not shred and sealed with a strong coating of latex. 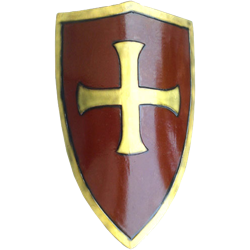 Safety is always an issue in LARP, that is why these have a round flexible fiberglass core with strong Kevlar core tip protection. 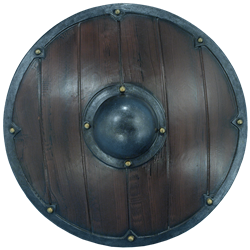 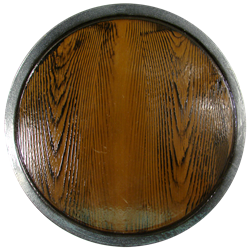 This shield has a horizontal hand-grip The hand-grip is one complete unit with handle and adjustable leather strap build in a frame, for maximum shield control.